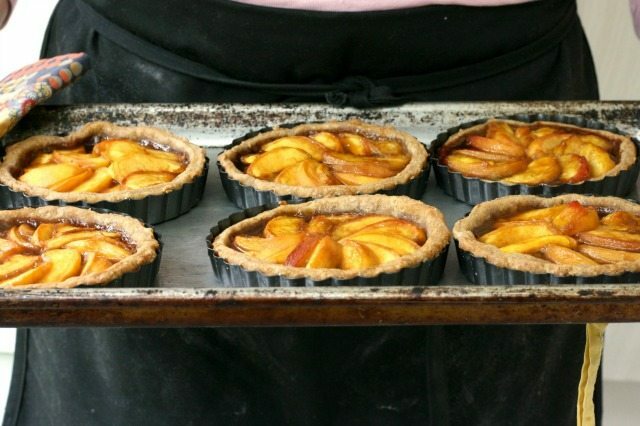 Molasses and peaches are a beautiful pairing for summer. Summer peaches are one of my favourite fruits. Tender and juicy, they are one of the true flavours of summer. You might be surprised to discover how beautifully peaches and molasses go together. Molasses helps to keep peach desserts from being too sweet and it doesn’t overpower the flavour of this lovely golden fruit. Bring a pot of water to the boil. Slice a small “X” in the bottom of each peach and drop into the boiling water for 30 seconds. Remove from the water with a slotted spoon and when cool enough to handle slide off the skins. I only buy peaches in summer and most are eaten right out of the basket. But I always save a few peaches for summer baking. 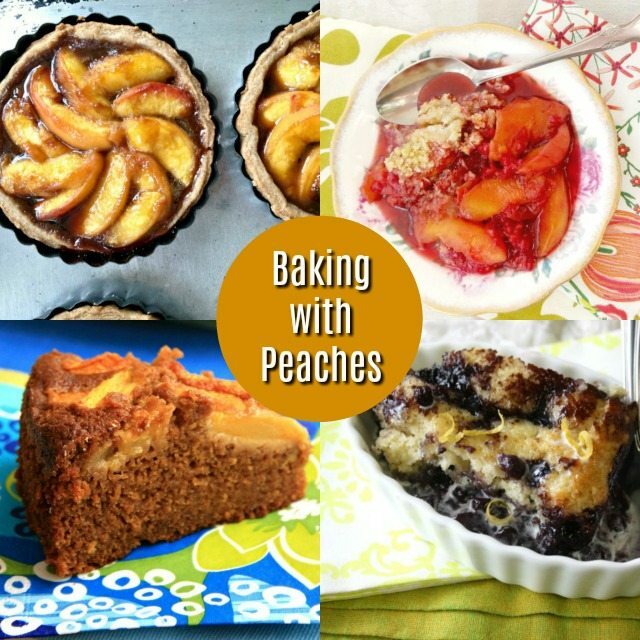 Here are my four favourite peach recipes that make the most of this luscious summer fruit. Peaches and raspberries go together beautifully and just about every fruit suits ginger. Together they make a deliciously simple fruit crisp. 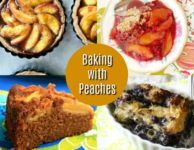 These lovely peach tarts combine the beautiful texture of peaches with a flaky whole grain pastry. 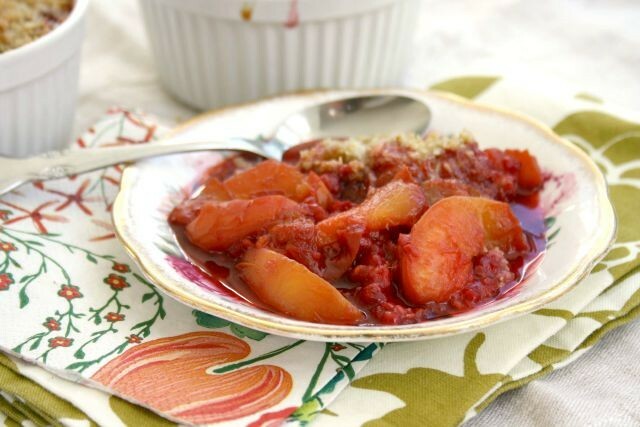 This blueberry peach cobbler recipe is a deliciously easy way to enjoy summer fruit. 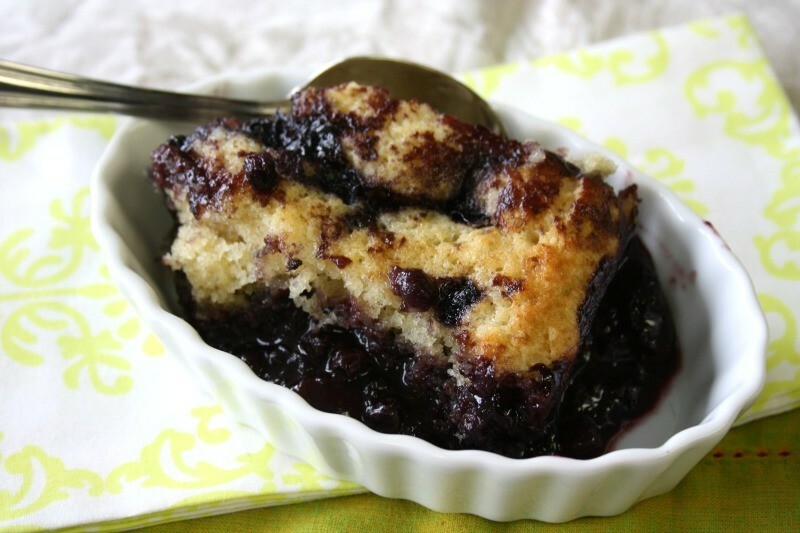 Also called a pudding cake, the recipe can be adapted for any fruit. 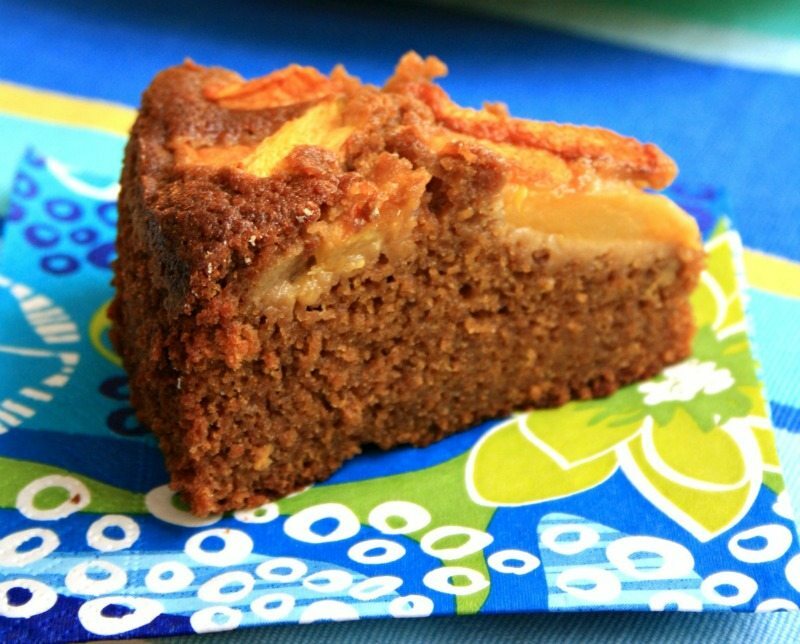 This Peach gingerbread recipe is moist and delicious. Gently spiced with ginger (a lovely match for peaches) this cake is perfect for juicy summer fruit.